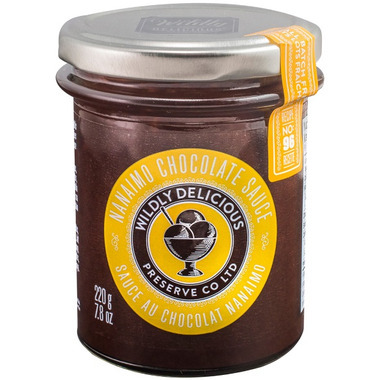 Roasted almonds and coconut are all the decadence you need in this sauce inspired by Canada’s favourite sweet treat. Made in Canada! 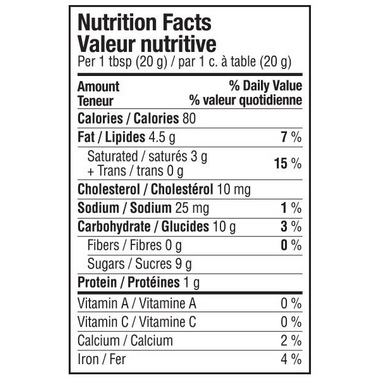 INGREDIENTS: Sugar, cream (cream, milk, carrageenan, mono and diglycerides, carboxymethyl cellulose, polysorbate 80), milk chocolate (sugar, cocoa butter, whole milk powder, cocoa mass, whey powder, lactose, soya lecithin, vanilla powder), butter, cocoa powder, dehydrated coconut, almonds, soy lecithin, sea salt, natural flavour.